Horse breeder Nancy Skakel gave away more than a dozen horses in 2010 including this horse. 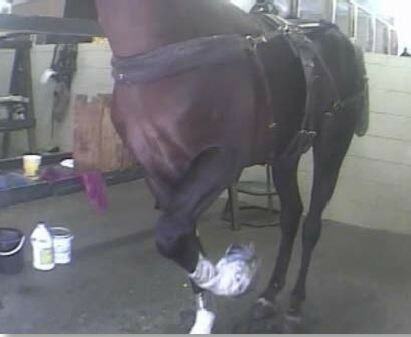 Shagya arabian breeder Nancy Skakel was arraigned yesterday for the alleged maltreatment of her horses. 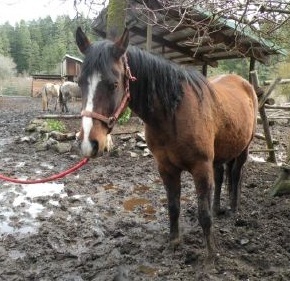 Nineteen horses were seized from her Washington farm in February by authorities. Skakel was arrested and charged with one felony count of animal abuse and nineteen misdemeanor counts of confining animals in an unsafe manner. Court records detail the deplorable conditions on the farm, the lack of basic care the horses received, and injuries sustained by some of the horses. Documents state Skakel admitted to letting her prized stallion, Sarvar PFF, lay in his stall for four days [until he died] with no veterinary care or humane intervention after he was kicked by a horse. The Klickitat County Sheriff’s Office responded to 16 complaints at Skakel’s farm from 2005 through 2011. 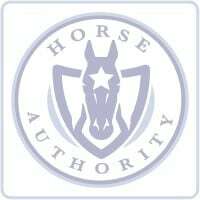 The complaints included animal abuse, reports of the horses not having food or water, to horses running at large on the public roadways. Eight additional complaints were received in 2011 for Skakel’s horses being on the public road according to officials. Skakel was charged with three counts of livestock at large in May 2011 for her horses being loose according to court records. Two of the counts were reportedly dismissed, however $200 of the $250 fine was unpaid for the remaining citation as of February. Skakel’s next hearing is scheduled for April 16. She remains out on bail.